8,000 fans chanted songs and lit flares when the coffin was carried out of the church after the service in Florence, Italy. Astori was found dead in his hotel room before a Serie A league football game earlier this month. Some of the best footballers on the planet joined 8,000 Fiorentina football fans to give “the last ciao” to Davide Astori, the Italian defender who died earlier this month. Astori was found dead in his hotel room before a Serie A league match against Udinese on March 4. An autopsy confirmed the 31-year-old suffered a cardiac arrest and died in his sleep. The news sent shockwaves through the football industry with all Serie A and Serie B games postponed on the day of his death. 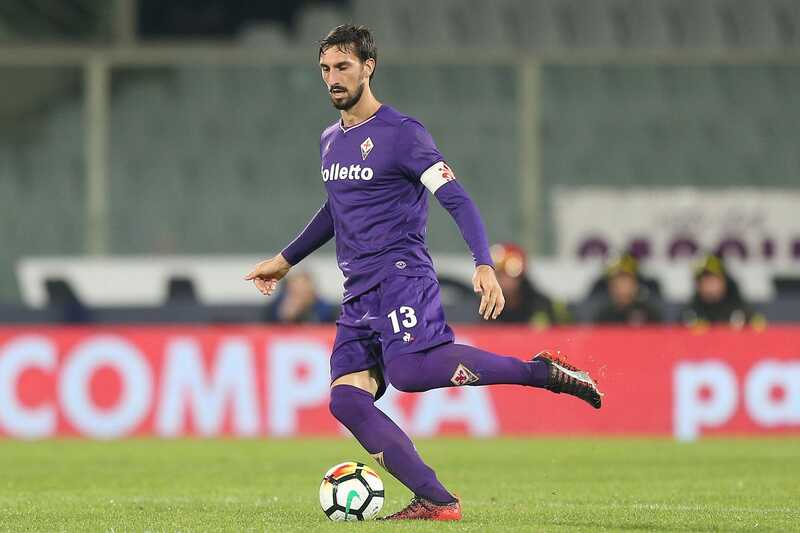 Italy international Astori captained club team Fiorentina, who retired the number 13 shirt in his honour. And the player’s funeral was just as emotional. Thousands of fans sang chants, lit flares, and joined famous football professionals like Juventus goalkeeper Gianluigi Buffon, Juventus manager Massimiliano Allegri, and former Italy striker Filippo Inzaghi in paying their respects throughout the funeral service at the Santa Croce basilica in Florence, Italy on March 8. 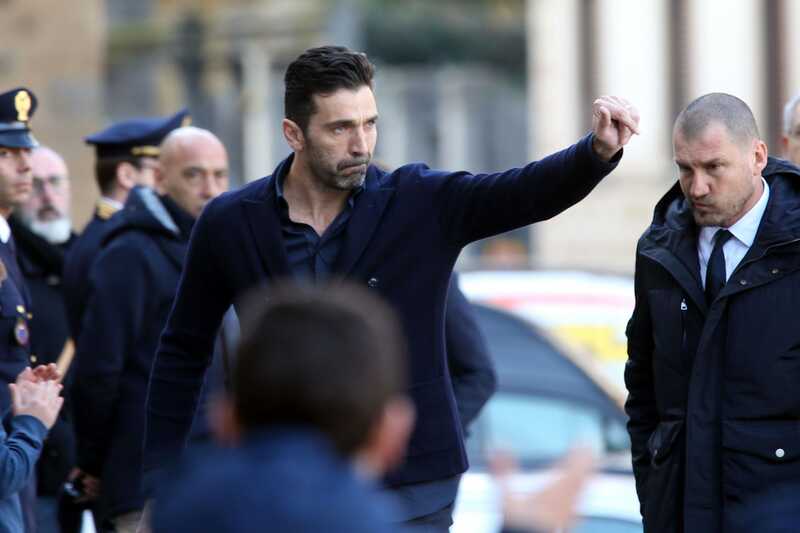 Getty ImagesA teary-eyed Gianluigi Buffon acknowledges the fan support. 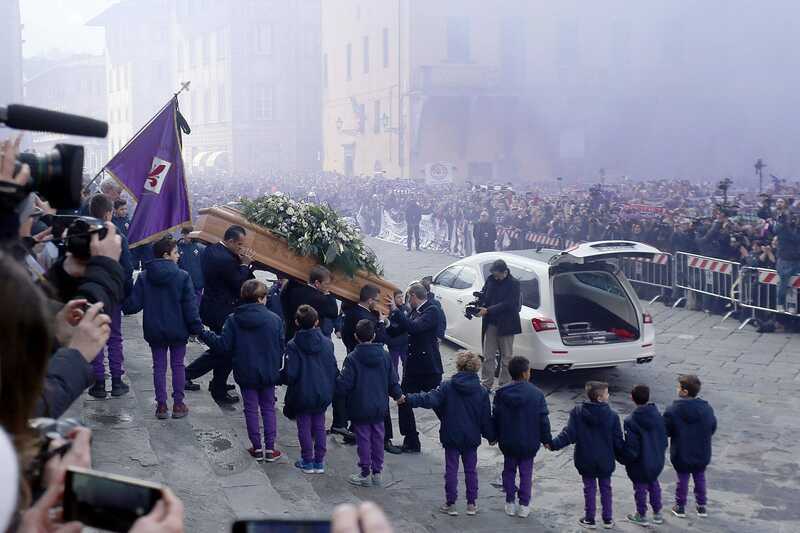 According to the BBC, the crowd sang: “There’s only one captain,” while Astori’s coffin was carried out of the church. Fans also lit flares that produced a sea of dense purple smoke, the primary colour of the Fiorentina football kit. Astori, who leaves a wife and a two-year-old daughter, will be buried in Bergamo, north-east Milan. Getty ImagesFiorentina player Davide Astori with the captain’s armband.